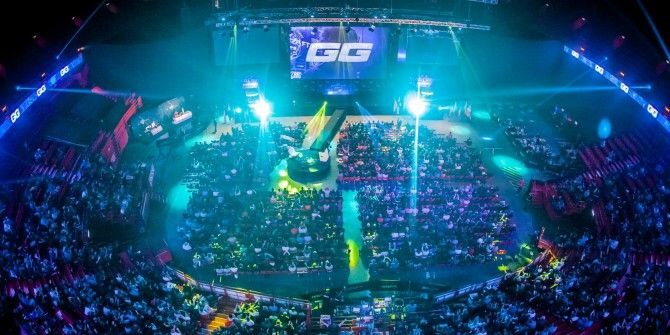 In 2012, I put out an article detailing why I thought 2013 would be the year that eSports really takes over and establishes itself as something that can be taken seriously. It’s not just a bunch of nerds playing video games anymore. Hundreds of thousands of people tune in to watch competitive events and streams, and players are actually getting salaried to play now. I’ve been a huge fan of professional and college basketball since I was around 12 years old, and the transition into eSports felt natural for me. I love competition and I love video games. Sport isn’t all about the body. eSports prove that the mental aspect of proving to be better than your opponent is profitable, competitive, and enjoyable. Want proof? Let me offer a little insight on how serious eSports really is and show you how you can begin enjoying it all today. The most popular game in the PC world Why Is League Of Legends The Most Popular PC Game In The World? [MUO Gaming] Why Is League Of Legends The Most Popular PC Game In The World? [MUO Gaming] Earlier last month, news broke that League of Legends, the addictive rehash of MOBA games like DotA and Heroes of Newerth, has officially earned the right to call itself the most popular game on the... Read More definitely wasn’t the first eSport, but it’s arguable to say that it’s doing the most for the scene right now. Riot Games has structured an online League of Legends system that operates almost like it’s the NCAA: there are official pro teams that are paid on salary, there are multiple leagues around the world, the playoff atmosphere is intense and competitive, and the world championship matches are spectated by more people than your average WNBA game. Official qualifying leagues around the world include the NA and EU LCS leagues, which are put together by Riot Games themselves, OGN (Korea), LPL (China), and the GPL (SE Asia). Every one of these leagues livestreams their matches, and the LCS leagues even has a YouTube account from Riot Games that archives all matches for your enjoyment. Every other day of the week, you can tune in on Twitch for hours and hours of intense gameplay at the highest level. It’s like my Breaking Bad. League of Legends definitely offers one of the best eSports experiences for the viewer. The StarCraft series is respected as one of the most mechanical and difficult games on the PC platform (but we’ll teach you how to play it 5 Websites All Beginner Starcraft II Players Need To Read 5 Websites All Beginner Starcraft II Players Need To Read Starcraft II is a complicated game filled with deep nuances and intense strategy that can be rather intimidating for newer players to get a hold off. Many hours of dedication are required, and if you... Read More ). The highest-paid eSports figure in the world, Jaedong, has earned more than $522,000 playing StarCraft: Brood War. That’s serious cash. Unlike other eSports, StarCraft II is an individual game. It’s more cerebral and intense than any other eSport that comes to my mind. The decision-making process, on a macro and micro level, is incredibly demanding. Thanks to Blizzard’s StarCraft WCS league, the structure and organization behind a world tournament for such a great game is just as impressive as the players themselves. StarCraft II’s presence at DreamHack, MLG, and other major events is always significant. This is an eSport that is here to stay. This game exploded into our lives pretty casually. If you’re someone who watches people stream other games with a queue time, such as League of Legends, Hearthstone was just the game that they played while they waited for their queue to pop. Blizzard’s hosting of their first Innkeeper Invitational was hyped, and for good reason. The tournament went incredibly well and showcased how interesting the game really is. It looks challenging for beginners, but it isn’t difficult to get into These 7 Websites Will Make You A Better Hearthstone Player These 7 Websites Will Make You A Better Hearthstone Player The best way to improve at Hearthstone is through trial and error by playing the game consistently, but it helps to read and study up. You need to know what cards are popular, who is... Read More . The crux of Hearthstone is that it is arguably a “pay-to-win” game. The fact that you either must pay to buy card packs or play an insane amount to collect all of the upper-tier cards makes it tough to break into the competitive scene. Nonetheless, if you’ve got the time and dedication then it is possible. Like StarCraft, this game is heavy on the brain. Unlike StarCraft, it requires practically no mechanical skill. It is rather slow and turn-based. The smartest (and sometimes, luckiest) player wins. Tournaments hosted regularly, like Tavern Takeover, really showcase the game well. Even without a spectator mode in the still-young stages of this game, production and interest in tournaments is there. The lack of an in-client spectator mode made the recent DreamHack rather controversial, and maybe it was the best thing that could happen for competitive Hearthstone. In the series above, the championship match, you can see players being private messaged by their friends. One player is actually messaged cards that is in their opponent’s hand. Oh, the drama. It makes it worth watching. Things like this will be taken care of, and Hearthstone will only grow larger. Many view Dota 2 as a king and pioneer in the world of eSports. How about a $10,000,000+ prize pool for the Dota 2 International champion in 2014? It’s going to happen. Valve has done a fantastic job in wrapping together what was once one of our favorite WC3 mods and completing it as a standalone game that many will tell you is the best MOBA experience on the PC. Dota 2 offers so many independent pro and amateur leagues, but the Dota 2 International is the biggest of all. If the League of Legends championship is the Super Bowl, Dota 2’s finale is a lot like the World Cup. Many see it as attracting a more passionate and knowledgeable audience. I follow the competitive scene loosely, and I find it to be a great escape from League. Documentaries have even been put out about the competitive scene and the international experience. MOBAs are certainly the dominant force in eSports right now, and it’s safe to say that League of Legends and Dota 2 are by far the most relevant. Don’t sell yourself short by sticking to League. At the very least, give Dota 2 tournaments a watch. You might see something you’ve been missing! While there are certainly other eSports and many respectable events, some just aren’t as watched as others Why Are First-Person Shooters Not As Watched As Other eSports Why Are First-Person Shooters Not As Watched As Other eSports Read More . In the second-half of 2014, I can promise that you’ll continue to see plenty of the four games listed here. Don’t be afraid to enjoy them. There was a time when video games were for squares. Computers used to be for nerds. Look at it now. No one can escape their smartphone. It’s a matter of time before the world sees that sports don’t require a ball or a bat. Let me know what you think about the state of eSports, and share with me what game interests you most in the comments. We’ll talk about it.